Cats are popular pets and a common sources of allergen. Cat allergen be detected in homes, schools, and workplaces where there has never been a cat. This is because the allergens accumulate in dust. The allergens come from dander, skin cells, fur, and saliva. Cat allergy is common and a quarter of the population may suffer from this allergy. Symptoms of cat allergy begin to occur when exposure to occurs on the face and skin. Early symptoms can include eye itching and tearing, stuffy nose, rash, and can progress to cough, wheezing and difficulty breathing. Cat allergen can be airborne and can be inhaled. In highly sensitized individuals, severe allergic symptoms can within 15-30 minutes of cat allergen exposure. In addition, cats carry dust, pollen, and other allergens in their fur. These other allergens can cause symptoms in those sensitized to these other allergens. If you suspect you may have a cat allergy, the Board Certified Allergists at AAIR can help diagnose and treat your allergy. A careful medical history, skin tests and/or blood tests may be used to diagnose cat allergy. Once a cat allergy is diagnosed, treatment can include a combination of medications (such as antihistamines and nasal sprays), avoidance measures, and/or allergy injections. Allergy injections are a safe and effective treatment for cat allergies. Unfortunately, avoiding cat dander is difficult because it adheres to clothing, carpeting and other furnishings. There has been no evidence to support the claims that there are “hypoallergenic” cats. If you own a cat and do not wish to part with your feline friend, there are steps you can take to reduce your overall levels of allergen exposure. Those with pet allergies should not pet, hug or kiss their pets because of the allergens on the animal’s fur or saliva. Keeping your pet out of your bedroom and access limited to as few rooms in the home as possible can help, but keep in mind that allergen will still travel throughout the house via the heating/air conditioning systems. You can also use HEPA (High Efficiency Particle Arresting) filters as well as frequent vacuuming, washing walls, and washing pets with water to reduce allergen levels. Litter boxes should not be cleaned by the pet allergic patient, and it should be placed in an area unconnected to the air supply for the rest of the home. Speak to the experts at AAIR today to diagnosis, manage and effectively treat your cat allergies! 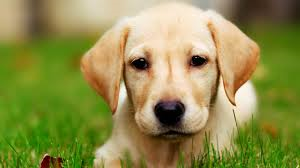 Dog allergy affects as much as 10 percent of the population, and 20-30% of asthmatics have pet allergies. The allergens come from dander, saliva, and urine. Although the hair itself is not an allergen, the hair of furry animals can pick up dust, pollen, and other allergens. Dog dander can travel on clothing or reside in carpeting. Since one dog is present in almost 40% of US households, it is extremely important to recognize and treat dog allergy. For individuals sensitized to dog allergens, symptoms can involve the eyes, nose and respiratory tract. Pet dander can cause asthma patientsʼ symptoms to flare up or worsen. Dog allergen can be airborne and can be inhaled. In highly sensitized individuals, severe allergic symptoms can within 15-30 minutes of dog allergen exposure. If you suspect you may have a dog allergy, the Board Certified Allergists at AAIR can help diagnose and treat your allergy. A careful medical history, skin tests and/or blood tests may be used to diagnose dog allergy. Once a dog allergy is diagnosed, treatment can include a combination of medications (such as antihistamines and nasal sprays), avoidance measures, and/or allergy injections. Allergy injections are a safe and effective treatment for dog allergies. Unfortunately, avoiding dog dander is difficult because it adheres to clothing, carpeting and other furnishings. There has been no evidence to support the claims that there are “hypoallergenic” dogs. There is no evidence to support the claims that certain breeds of dogs or supposed “hypoallergenic” dogs produce less allergen than other types of nonhypoallergenic canines. If you own a dog and do not wish to part with your family friend, there are steps you can take to reduce your overall levels of allergen exposure. Those with pet allergies should not pet, hug or kiss their pets because of the allergens on the animal’s fur or saliva. Keeping your pet out of your bedroom and access limited to as few rooms in the home as possible can help, but keep in mind that allergen will still travel throughout the house via the heating/air conditioning systems. You can also use HEPA (High Efficiency Particle Arresting) filters as well as frequent vacuuming, washing walls, and washing pets with water to reduce allergen levels. Speak to the experts at AAIR today to diagnosis, manage and effectively treat your dog allergies! Caged animals are very common pets, particularly for younger children. Although cute and cuddly, they are a very common source of allergies. Additionally, the droppings of caged pets are a source of bacteria, dust, and fungi, and mold. The cages of these pets should not be cleaned by allergic individuals and the cages of these pets should be kept out of the bedroom. Those with pet allergies should not pet, hug or kiss their pets because of the allergens on the animal’s fur or saliva. If you own one of these pets and suspect you may have an allergy, the Board Certified Allergists at AAIR can help diagnose and treat your allergy. 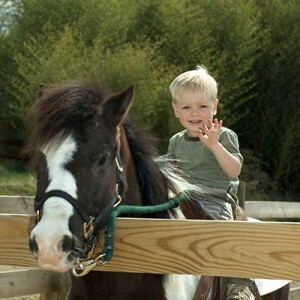 Horse allergies affect nearly 4% of people of people with allergies. Horse dander is able to travel long distances in the air, and has been reported to be found hundreds of yards away from horse stables. In fact, certain people with dog and cat allergies may be predisposed to having horse allergies. This is due to an allergen inducing protein, which is cross reactive between horses, dogs and cats. These patients may experience allergy symptoms with exposure to horses. Symptoms of horse allergy include allergic rhinitis and asthma and 50% of people with exposure to horse barns report respiratory symptoms such as wheezing, coughing and shortness of breath. Treatment for horse allergy can include a combination of medications (such as antihistamines and nasal sprays), avoidance measures, and/or allergy injections. Allergy injections to horses has been shown to be safe and effective for the treatment of horse allergies. Speak to the experts at AAIR today to diagnosis, manage and effectively treat your horse allergies!